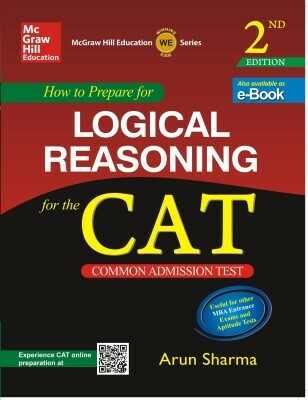 How to Prepare for Logical Reasoning for the CAT by Arun Sharma is designed to help anyone who wants to crack the Common Admission Test. The book helps an individual improve his logical reasoning, which is very important for a candidate answering the Common Admission Test. The book can also be helpful to candidates of other entrance exams for an admission in an MBA college. The book is also available on ebook and can be used with ease. About Tata McGraw Hill Education India Tata McGraw Hill Education has partnered with various other educators over the world in developing open learning ecosystems and thus helping students get better grades and improve their outcomes. Its books get printed, published and marketed by the Tata McGraw Hill Publishing Company, its Indian subsidiary. It has published a number of books till date. A few of them include Consumer Behaviour by Karen Webb, Excel in Easy Steps and Management Strategies and Skills by Judith Dwyer.